Pupils at Campton Lower school are now enjoying healthy, hot meals cooked on the school premises. It follows completion of refurbishment work on the kitchen at the school in Rectory Road, Campton. A significant part of the funding for the refurbishment and new kitchen equipment came via £27,000 from Central Bedfordshire Council. 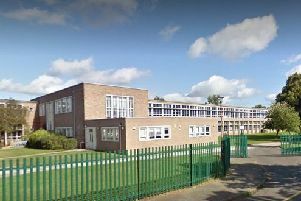 The local authority stepped in to provide the money following an unsuccessful grant application to the Department for Education. The need for the work became apparent following a 72 per cent rise in the number of pupils having school dinners. That was after the introduction of free school meals for reception, Year 1 and 2 pupils in all state-funded schools nationwide from September 2014. It meant that Campton Lower’s existing arrangement of meals being shipped in from another school was unsustainable.